Lately, I've been listening to a hip hop/rap artist called Tablo. I'm not even a huge fan of Korean music, but I must admit that I slowly become attached to his songs. Once said as one of the best lyricist in Korea, his songs has deep meaning that capture my attention. It's not surprising since Tablo hold Master Degree in Creative Writing from Stanford University (Yes darling. Stanford University that I'm longing all my life to enter!!!). Well, his academic background gave him so much trouble in 2010-2011 because there's a community that suspected he actually never go to Stanford University and demand the truth from Tablo. Despite the irrefutable prove that he really hold master degree from Stanford University, that community still exist. Geez, sometimes I hate those netizens. One of my favorite songs from him is "Bad". I never had any bad experiences in love that could make me say that this is my theme song but somehow I could link it to my personal feeling . Yeah baby, Love is so bad bad bad bad bad, as you could feel from the lyrics of this song. They say something has changed. They tell me somewhere I turned cold, that I used to be so affectionate. They claim they don’t understand. They tell me I used to be cheerful but now my eyes and tone of my voice lost its light and admits fear. Unsure whether it’s because of the painful memory but I go on by emptying my heart. Lucid hearts are defective products of this world. That’s why I badly want to taint mine. They tell me that if you love, you start to take after each other; maybe I want to take after you a bit. You were the very reason I breathe for, but now you’re suffocating me. Love is so bad, bad, bad, bad, bad. Love only gets worse as you dig deeper. Love only pains as you learn about it. More you know, worse you become. The words I wouldn't normally get riled up about: “You don’t seem yourself”. I question, “What is me?” but of course I know only too well. I can’t bear to look at myself. Whether I’ve been embraced or have closed my eyes, I just can’t sleep at ease. I yearn for alcohol, something I usually have hard drinking. I start to quarrel and my mouth that once used to whisper so many kind words has been tainted by a profanity. Can’t rest till this small thing becomes a catastrophe. You were the very reason I opened my eyes for, but now you’re hiding them. I, who couldn’t forget you and ended up being tainted. I, who continues to act cold towards the other people. I, who is cold towards the other people. You could download this song here. So, what do you think? 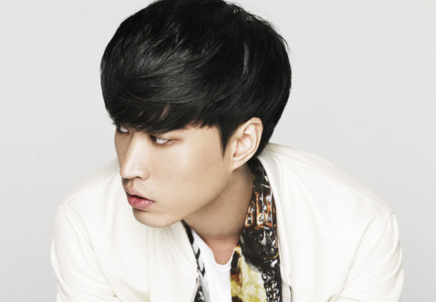 It's not my fault if I like Tablo, isn't it?